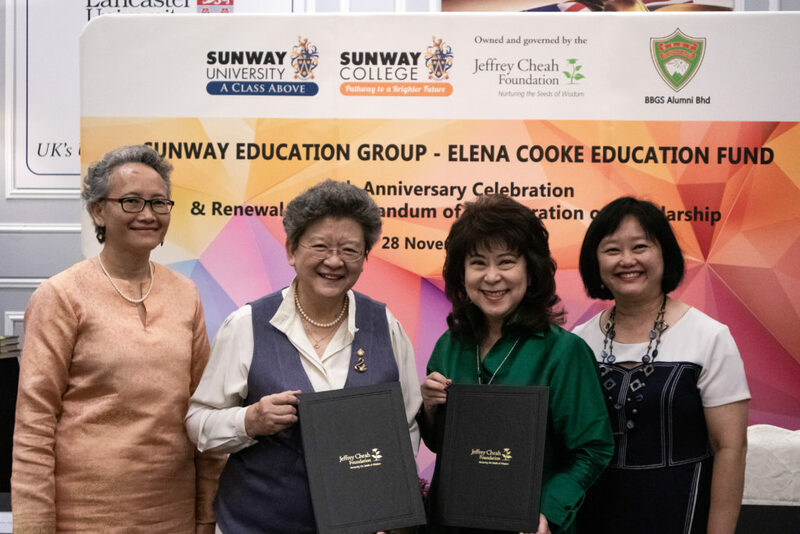 The Sunway Education Group, which owns Sunway College and Sunway University, recently renewed its pledge of RM500,000 worth of scholarships to the Elena Cooke Education Fund, therefore continuing its commitment to support the Elena Cooke Education Fund in the work of assisting financially needy students to obtain tertiary education. A simple signing ceremony was held recently at Sunway, witnessed by some members of the ECEF Committee and ECEF Selection Committee. Some of the past and current Sunway-ECEF scholars also attended the signing ceremony. At the same event, Sunway was also presented with a framed painting, the handiwork of BBGSian Audrey Lim. The buyer of the painting had decided to donate it to Sunway. 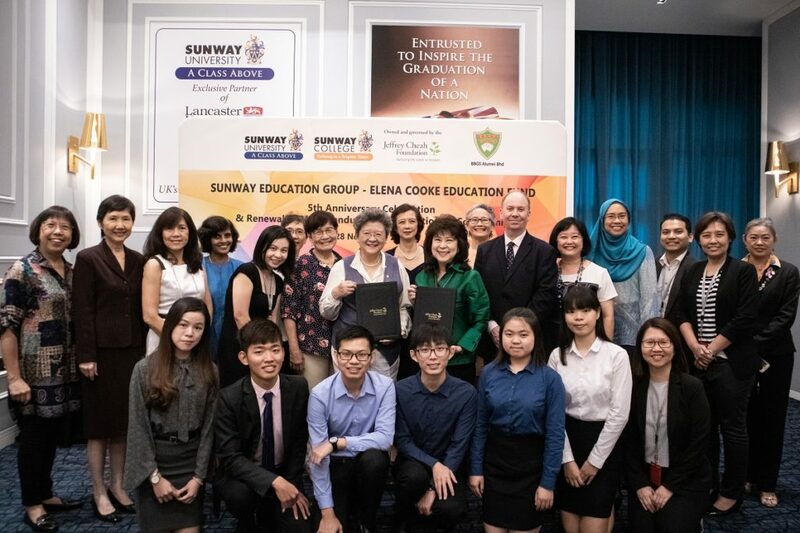 As the buyer was unable to attend the ceremony, Datin Azimah Abd Rahim, Chairman of the Elena Cooke Education Fund Committee, presented it on his behalf to Sunway.